Our animal education program was created by our tiniest animal rescuer, Kaitlin. 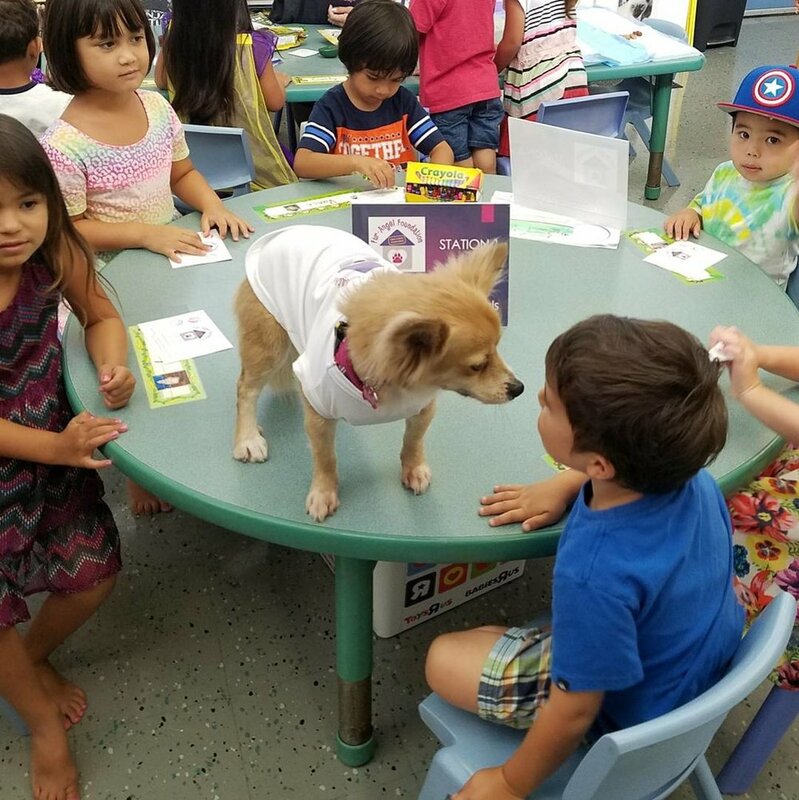 She saw how many animals needed to be rescued everyday and noticed that her friends at school knew nothing about pets. She told us, "We need to teach them". Just like that, the Fur-Angel Foundation Education Initiative (FAFedu) was born! Kaitlin worked with the Fur-Angel team and created a program that was fun, interactive, and provided a strong foundation for future generations of responsible pet caregivers. Kaitlin was just 6 years old when she created FAFedu and is proof that no matter how small you are, you can make a difference in the world. She urges other kids to do their part to end animal abuse, neglect, and abandonment by taking proper care of their pets. Kaitlin's advice to you: "Love them forever, and never give them away." FAFedu offers classroom presentations, which include a variety of visual aids, games, prizes, and one-on-one learning to engage our students. We cover important topics such as approaching animals, proper pet care, spaying/neutering, and cleaning up after our pets. Download our brochure for a quick summary of our lesson plan and contact us below to setup a presentation for your class! For more information on our program, or if you would like FAFedu to teach a class at your child's school, please fill out the information below and we will get back to you as soon as possible! FAFedu is currently all booked for the Spring 2018 school year and is now booking for the Fall 2018 school year.